Katie & Jordan are one of a kind. 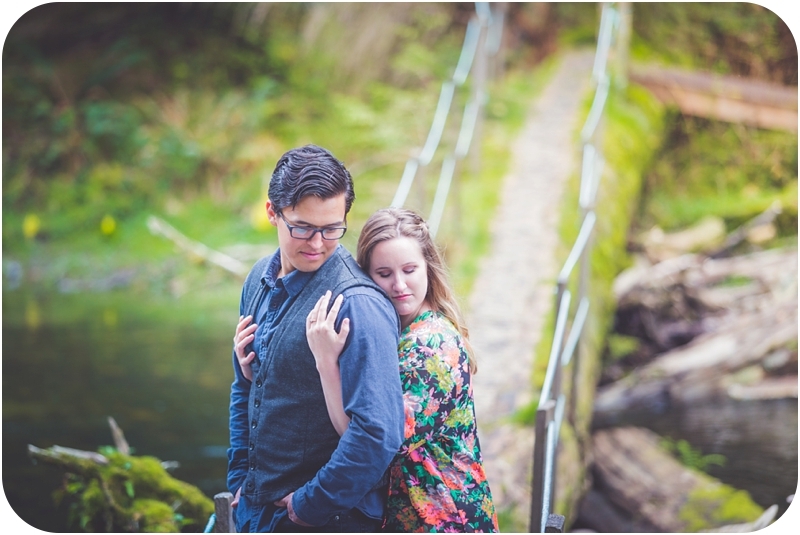 Having been together for 5 years after taking a chance on a New Years kiss and never having an opportunity in front of the lens, I was super excited to be able to photograph them for this whimsical forest couples session. We had plans to shoot at a later date but 8:30pm one evening I was on the hunt for a couple for the very next day after finding a location I just had to use and Katie mentioned they were free. Hooray! With the help of Jen from Darling Vintage Event Rentals we were able to style this sweet little picnic that reflected them and have an assistant to help with a science experiment using dry ice for later in the session. Jordan loves Katie for her smile, sweet personality, outgoing energy and says she is the most caring person he knows. Katie loves Jordan for his sense of humour, his sweet shyness and think he has beautiful eyes. Together they love to adventure outdoors and have quiet nights at home reading books. As you will see, they are quite perfect together. The smile on Katie's face when she looks at him or he makes her laugh is indescribable. And although Jordan may have been a bit shy, this didn't stop him from holding her close and just enjoying the experience of capturing their love on camera. Sometimes spontaneous shoots are the best. The things that are thrown together at the last minute after a split second of inspiration hits you in the face. 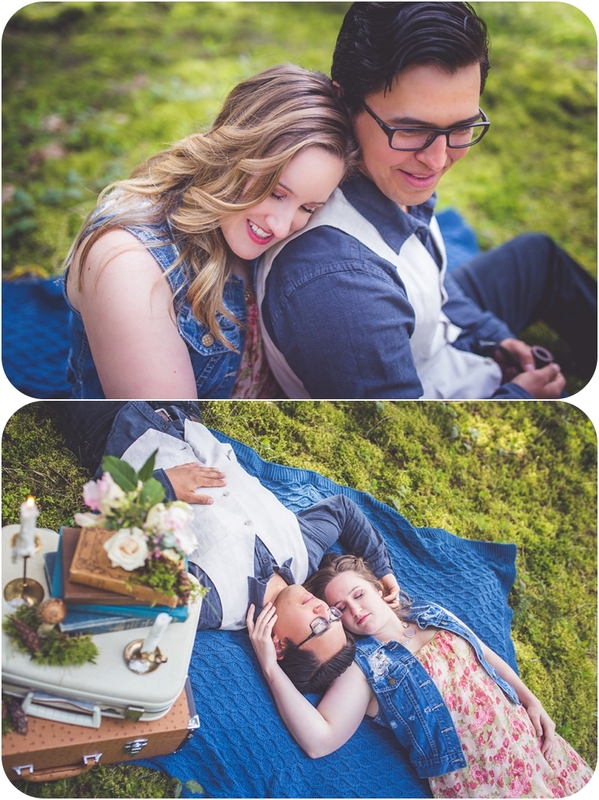 I can't thank these two AND Jen enough for being available so unexpectedly to help bring these images to life. They are some of my favourites and so I am grateful for amazing people that support me through creative adventures. As you all know, I love capturing love. But when you can mix adventure, spontaneity and love; that's the best. So for anyone out there who desires to have their love captured and they want to climb a mountain, get lost in a forest, swim in the ocean, hike to a waterfall... you name it. Please get in touch HERE. I'd love to photograph you.